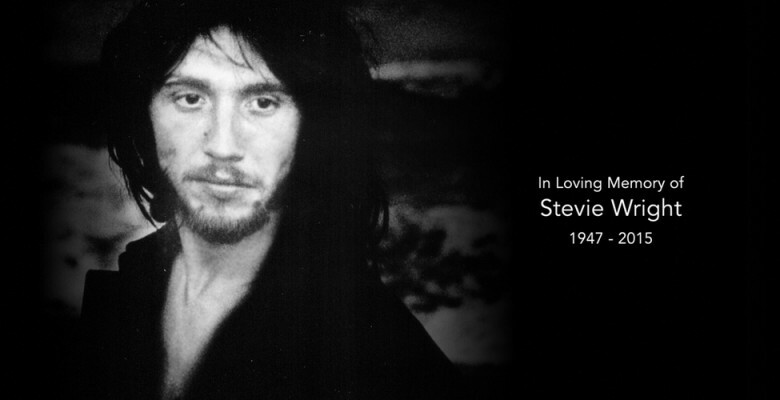 Stevie Wright Eulogy | Bombora Film and Music Co.
Bombora writer and director, Paul Clarke, delivered this eulogy at Stevie Wright’s funeral in Sydney on Friday 8th January 2016. When the P&O Fairsea deposited Stephen Carlton Wright from Leeds onto the Fremantle pier in 1958, he was already brash and cocky, with the temerity and louche swagger we’d expect from a street urchin from the north of England. His first purchase in his new country dictated his destiny. He bought a Boomerang songster, the song lyrics book published by J. Albert and Son. In 6 years, his songwriting and performances would sell more Songsters than had ever been sold before. These days we might say this child had suspected ADHD. In those days he was thought by all to be a cheeky little bugger. He was short, oozed confidence, and discharged a casual air of rebellion. Dad George joined the army, and the family were resettled to an army house opposite Villawood Migrant Hostel. Stevie was going in a different direction. He left school at 14, got a job as a clothing salesman, and began singing on weekends with various Villawood musos. Australia was at least a year behind what was going on in England – but the kids just arrived in Villawood knew where things were going…a perfect launching pad. The Australia they had landed in was ripe for rebellion. One in three people was under 20. He wanted to stand out. 15 years old and 20 years before Sting did it, Stevie dyed his hair blonde. He renamed himself Chris Langdon, and with Johnny Dell, formed The Langdells. Girls loved him, boys wanted to hit him. A near scuffle with Glaswegian George Young led to a friendship and a band called The Easybeats. Within months, Stevie left home and moved in with George’s extended Young family home in Burwood, writing songs during the day on the family upright piano when everyone was at work, and finding himself enveloped in the musical haven of the Young family. And the music that came out of them during that time! Think of She’s So Fine: his scream calling you to action, and the damn post-modern lyric, the mis-count in the middle, Stevie calling ‘go Harry’ to play the lead, and finishing off with ‘and that’s all’. Stevie’s impish sense of humour carries it through, cleverly breaking the form of what was accepted in pop music. Stevie’s lyrics had his smart cheeky touch, a cheekiness that a new generation looking for new heroes connected with. They related to no performer more than him. Within a year, the Easybeats had number one hits, and the new teenage audience had a performer they could believe in – Stevie was clearly the most charismatic performer Australia had ever seen. Behind him a band that were powerful, original and bursting at the seams. Billy Thorpe saw them at Surf City and immediately decided he would give up rock and roll. He had kept the Beatles from number one during their tour here, no mean feat, but he knew he couldn’t stop this train. The Easybeats set off for England and a young Ian Meldrum saw them shine in London. For him, and other clever rock writers of the 60’s like Lillian Roxon, there were two bands on the pedestal above all others – the Beatles and the Easybeats. In London, the stones, Rod Stewart, Elton John and paul mcartney had to check out this band with the wild frontman. Bowie was amazed. Lou Reed played them every night in the coolest club in the world, Max’s Kansas City in New York. Lillian Roxon took Stevie there, where he was fawned over by Andy Warhol. Stevie had no idea who he was. Clothing was one of the loves of his life, and selling them was easy work for him. Fifa Riccobono remembers him getting a job at Mr John in Pitt St, the coolest mens fashion boutique of the 70’s. Stevie used the shop as if it was his personal stage, and there was a spotlight on him. Ted Albert invited Stevie in to Alberts to hear songs Harry Vanda and George Young had been recording, and to see if he would be interested in a solo record with his former bandmates. And so began some of the biggest songs of his career. If you had to describe Australian love in one song, it would be Evie. It was our bogan Motown, and Stevie gave it a passion that no one else could have. A young woman named Mandy Barron posted her picture on social media this week holding her beautiful daughter, with the caption : “Without Stevie, there would be many fewer women and girls named Evie – thank you Stevie”. Stevie loved women, and they stuck by him through thick and thin, and according to Nick – many of the women in his life get on to this day. With that song Evie, it felt like Australia was really coming of age. It so captured the raw passion of our culture. And he was the person we trusted to sing us our song. Fifa Riccobono said that he lived to perform. Despite her ability to get nearly any job in the entertainment industry sorted, Stevie was often her greatest challenge. She is quietly the hand behind this beautiful send-off today. She contemplated sometimes leaving the entertainment industry because he could be so challenging to manage, but seeing him on the stage always made up for it. It’s hard to remove music from the time and the place it was created. By the mid 70’s, Australian youth culture was primal, malevolent and aggro. There was no roadmap of the dangers for vulnerable people. Australia lost a lot of them in those days, in every field of life. But rock music had more casualties than most. In the 70’s it was the most dangerous and lethal that it ever was. Janis, Jimi, Jim Morrison, Keith Moon, Brian Jones, Tim Buckley, Gram Parsons, Brian Epstein were all claimed – and the list goes on. We were still innocent to the dangers, a long way from the civilized part of the world. It turned out that Stevie had an addictive personality, he wanted to be wherever the good times were, and there was little understanding of how to bring him back or what to do for those around him. He fell into the jaws of addiction, and disappeared into the abyss for years on end. Some of it involved the horrors of Chelmsford, deep sleep therapy, things too frightening to imagine. But Stevie climbed out, re-emerging clean in 1979 to perform at the concert of the decade. The Stevie we saw that day was different from the one of 5 years before. The fragility of that performance was especially moving – it was Stevie stripped back to his bare bones, and his bare soul. He’d been to hell, and found his way back. It was a calm, mature Stevie, receptive to all, and humble. He tuned in to the biggest crowd ever assembled in Australia and united us in music. More than any performer in Australia, he had known the highest of highs and the lowest of lows. Anyone with a lesser spirit wouldn’t have survived it. It was his huge life force compressed into a tiny frame that kept him alive. And he was still a few years younger than Guy Sebastian is today. And only 15 years since he had been introduced to the Beatles by the Bee Gees. More than that, on that magical day at the Opera House he reminds me in that moment of no-one so much as his son Nick does today. Growing up wasn’t always easy, Nick told me – but his dad would always try to make it for his birthday. He might be a month early, a month late, he might get there at 3am, or 3pm, but he would be there. Stevie always fought back, he had incredible spirit, he spoke to the redemptive nature of human beings like no-one else. His friend from longtime back Tony Southy Southwell says it is Stevie’s smile and quick wit he will miss the most. “I had a friend in Moruya, where Stevie went to live, who was a huge fan, and wanted to meet him. I took him around. On the wall of this lady’s was a huge poster of Billy Thorpe, signed by Billy himself. He came back for the Easybeats reunion, and Fifa Riccobono remembers standing with Ted Albert and Glenn A Baker, the only people in Festival Hall, listening to their soundcheck. “It was the greatest live performance I’ve ever heard”. Fast forward to the long way to the top concerts in 2000, organized by Thorpey. I was there when Stevie walked into the rehearsal room at the ABC. Many of the musicians shed a tear to see him again, to see how hard it was for him to move, but how much he wanted to be there. Glenn A Baker was moved by how all the great frontmen of Australia – Normie Rowe, Thorpey, Max Merritt, all flanked him as he sang, and he felt the moment. He wrote to George Young in Portugal that night – if you were ever to be proud of a song, now is the time. Stevie had risen to the occasion again. One common note among his firm friends is that Stevie was never bitter about how things had turned out – he knew what had changed his life, and he was not disappointed. He had a lust for life, and it carried him through. He had the same fire in him till the day he died. Over the last few years of his life, Stevie began to play a solid role in the lives of his grandchildren. Nick coaxed him down from a few cartons of ciggers a month, down to one, until he finally gave up. He was eating organic food, he was healthier and happier than ever. Nick jokes that may have been what pushed him over the edge in the end! When we met again to record his interview for Blood and Thunder, he was in great spirits, and with his long red hair he looked like an old Cherokee chief. Just a few weeks ago, Southy Southwell saw him at a concert in Tilba, and he noted to himself how together and well Stevie was, and they had a great day. It was Boxing Day when Nick got the call that Stevie had faltered, and he rushed to be at his side through the Christmas holiday traffic. The south coast is often overcast at Christmas, but Stevie lay in radiant afternoon sunshine that day as the life ebbed out of him. Nick said he seemed at total peace. Stevie – we’re all here for you. Your hard road is ended, but we will never forget how your music shaped us, how your friendship illuminated us, and sometimes challenged us! How your life force was impossible to ignore, undeniable. You were always known as Little, but it feels to us right now that a great warrior has fallen. You sang for us, and we will carry that song and the sound of your wild spirit with us always.